Firstly I'm going to be completely blunt with you all, if you are clinically overweight you should really try to lose some weight. I do not believe that only 'skinny' women are beautiful, quite the contrary, but I do believe we should all do our best to be healthy. If you are naturally curvy, I think thats beautiful but you still need to try and keep your BMI below 24.9. If its anything over 30, I strongly recommend doing something about it TODAY! Now you've worked out what weight category you are, you need to set yourself a weight loss goal. How much weight do you want to lose? When do you want to lose it by? Tell someone close to you your goal and write it down. Try and get your family and friends on board, the extra support comes in very handy. Having a goal for an event like a wedding, birthday or holiday is a great motivator, but remember you are not going to lose 3stone in a month!! Aim for a weight loss of 2lbs a week, if you lose anymore thats just a bonus. Steady regular weight loss helps regulate your metabolism, leading to long-term losses. Remember to take into account your frame, i.e: how 'big built' you are. If you have broad shoulders and wide hip bones and lots of muscle, trying to get down to a BMI of 18.9 is probably not going to happen, be realistic! You can get scales or online programmes that workout your body fat percentage, apparently women of my age (18-24) should be around 20%. You should know I have NOT hit goal, and I need to lose more weight. I've lost 1st 7lbs altogether but I'm aiming to lose another another 1st 12lbs. I am far from perfect and my body fat percentage is WAYYY high. Now that you know how 'fat' you are, its time to do something about it. There is no such thing as a 'quick fix' and you are not going to magically stumble across an easy answer. The key is to eat less and exercise more! I'll do a separate post on exercise if people want me to. 1) Water! Drink lots! I recommend filling up 3 bottles of water in the evening and putting them in the fridge. I take some to the gym, some to college/work etc and then one is for the evenings when my cravings kick in. 2) Green Tea & Herbal Tea! If you dont like Green Tea experiment with other flavours - They are full of nutrients and water and have zero calories! 4) Keep it under 1600kcals, anymore and you wont be losing weight. Don't starve yourself and dont obsess with calorie counting, it can take over your life! Also PLEASE dont go under 1200kcals, your going to be starving and your metabolism will drop! 6) Exercise whenever possible, at the moment I'm trying to go to the gym every other day. If I can go most days thats a bonus! Make sure you let your body rest at least once a week, and dont do weight training everyday, your muscles need to recover. 7) Pack lunch, for work/school. This will save you money and help you stay on track. One drink and a muffin at Starbucks can cost you a whopping 1,000kcals!!! 8) Avoid Alcohol It is the only substance on the planet which is more calorific than fat! AVOID! We are all human and the occasional tipple if fine, but hangovers make you lazy and hungry! If you must drink stick to a clear spirit with a slim tonic or diet coke. Good Luck! I've blabbed on enough, if requested I shall be doing more weight loss posts on things like recipes, exercise ideas, cravings etc. OMG this is awesome! Because today I literally came to school with the Lemon detox diet (just a drink) and My friend was indepth explaining to me that it is just an excuse for starvation. 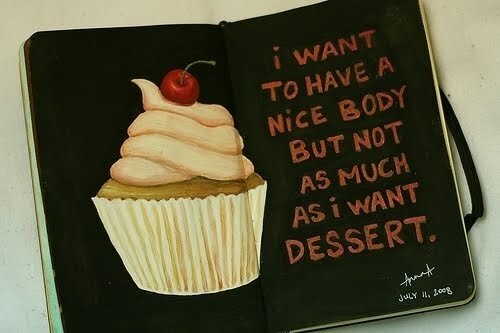 I keep for getting not eating ANYTHING will make me gain more weight. I'm going to follow your advice and maybe do a post on it! Love these tips!you have a great blog,I am now following! Loved this post doll, you've a great attitude, it really is inspiring! Thanks for all the great tips. I really drink so much water over the day and I love vegetables! !But my problem is that I dont have many small meals during the day!Thanks for the post!I'll try the tips for a chance and start exercise asap!!! 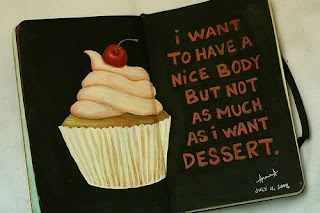 Im currently trying to reach my healthy weight so any recipes and excercise advice you could share would be amazing! Congrats on losing 1 st already and keep on going, you seem really motivated which is awesome! We'll be here edging you on girlie.